Begin with our Caribbean Colada including homemade honey & pineapple cordial, a punch of Arrak topped with refreshing coconut water and soda. Alternatively, turn up the heat with Kick Start a fiery blend of Don Julio Anejo tequila, chipotle syrup, and chilli chutney. To slow things down try our Lavender and Lime with our very own homemade lavender & lime cordial, pineapple infused Arrak, and quinine laced Cocchi Americano with maraschino. Finally, take a soothing sip from our Calming Cognac which mixes Sauterne & camomile reduction with Hennessey and absinthe air. If you’re joining us we want to hear from you by entering our #aquasnap competition to win dinner and drinks for two at aqua shard. To enter, follow @aquashard on Instagram. Then, share your photo of any of our Wind Up, Wind Down cocktails and post it to Instagram using the hashtags #WindUpWindDown and #aquasnap. Any tagged photo posted between 23rd June – 22nd July, 2017 is eligible to be entered in the competition. Good luck on your entry! A winner will be announced on our Instagram page on 24th July and notified via direct message the same day. 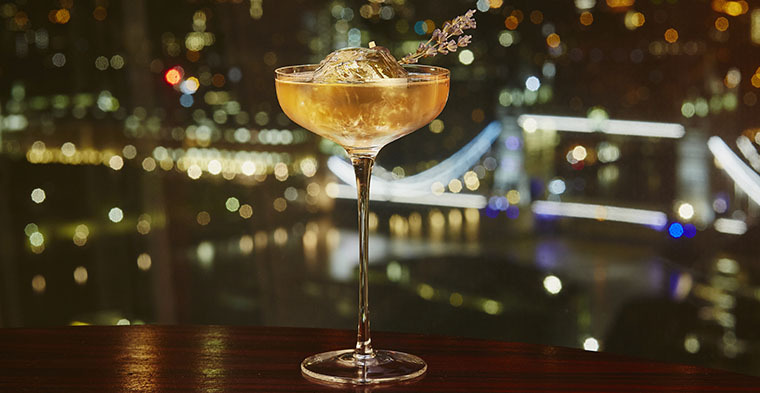 The prize includes an aqua shard cocktail on arrival followed by a three course dinner from our À La Carte menu, a bottle of wine as chosen by our sommelier and coffee or tea for two guests. The prize must be redeemed before 30th November 2017 and is subject to availability of aqua shard. The winner will be selected at random from a ballot that comprises all the entrants names. The winner and their guest must be over the age of 18. Copyright in all entries submitted for this competition remains with the respective entrants. However, entrants agree that by submitting an entry to the competition, they grant Aqua Restaurant Group a royalty free license to republish their entry.